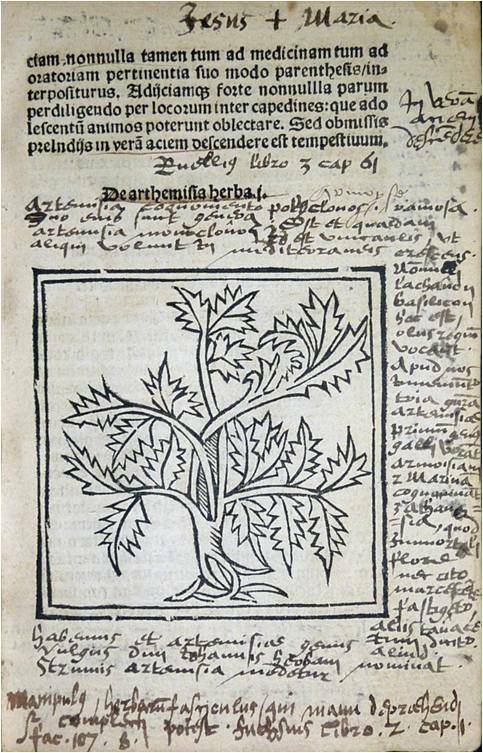 This early herbal forms part of our Continental collection and was published in Paris around 1520. Our copy of Herbarum varias qui vis cognoscere vires (‘Various types of herbs that you want to know the powers of’) has been extremely useful to its previous owners and virtually every page is covered with detailed manuscript notes, observations, lists of ingredients, recipes and other marginalia. Herbals, from the medieval Latin liber herbalis (‘book of herbs’), contain the names and descriptions of plants with details of their medicinal or culinary properties, often with illustrations to assist with proper identification. 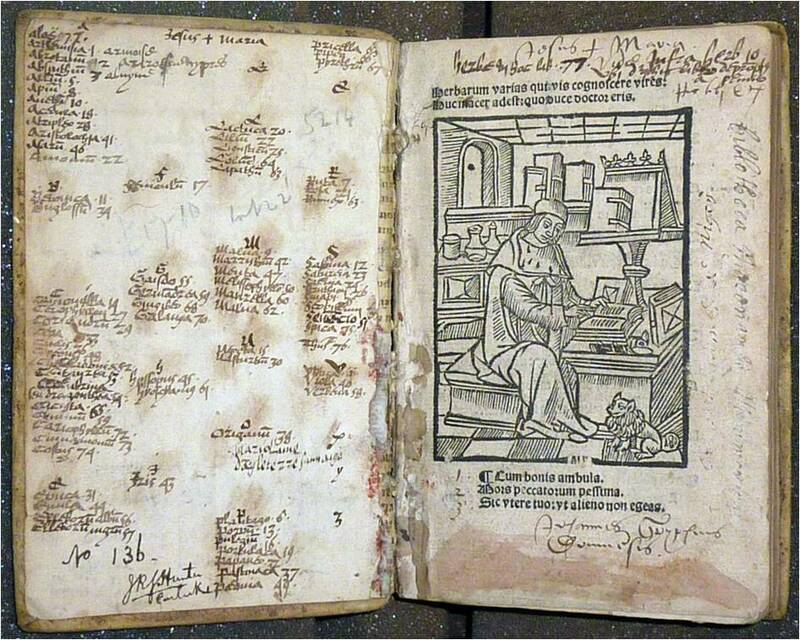 These books were among the first literature to be produced in both the East and the West and continued to flourish long after the invention of moveable type in the mid 15th century. We have several other early printed herbals in the Cardiff Rare Books Collection but none have been quite as well used as this one! This entry was posted in Ken Gibb and tagged 16th century, Cardiff Rare Books Collection, herbals, marginalia, medicine, plants, provenance, rare books, woodcuts. Bookmark the permalink. What a wonderful Book!, it is like having a 16th century reader sitting with you! Great book! Is a digital copy available online? Not yet, Marc, but we’ll certainly add it to the to-do list!